When it comes to dining out I’m a creature of habit. I have a handful of favourite restaurants, most of which are local. I happily go back time and time again, even when I know what I’m going to order before arriving. At the same time my love of Italian and Indian cuisine means it’s not easy to tempt me to Chinese or Japanese restaurants, despite having more than a handful of them within a short walking distance of home. 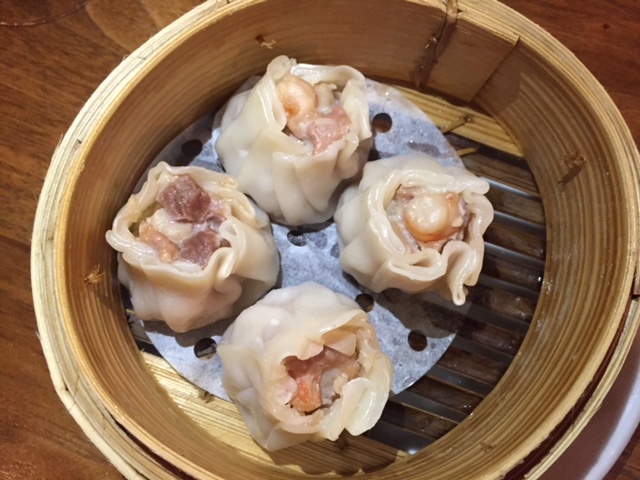 So, when I received an invitation to try a new local Chinese restaurant, Chinaman Dumpling, I had the perfect excuse to step out of my comfort zone. Entrepreneur Kenny Lee is behind Chinaman Dumpling. He’s built a strong team that includes Head Chef Alex Lee. Alex previously worked at Mr Wong – the award-winning CBD restaurant that’s known for its classic Chinese cuisine served in a contemporary style. 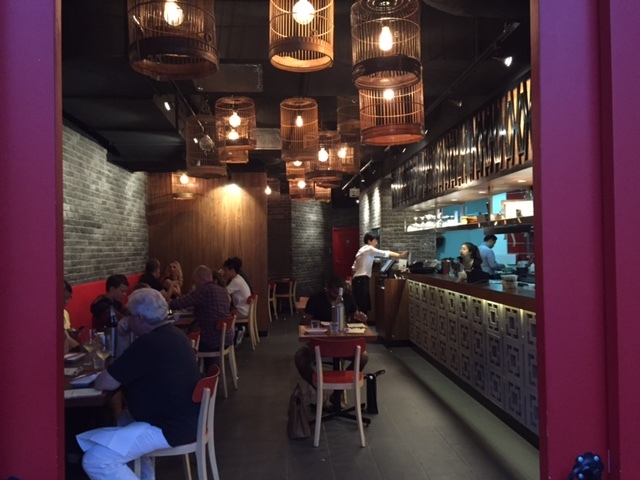 Chinaman Dumpling’s bright red frontage on Rangers Road is the first sign that shows how the fit-out at has received just as much attention as the menu. Before visiting I saw the restaurant describe itself as having an ‘edgy urban street atmosphere’. 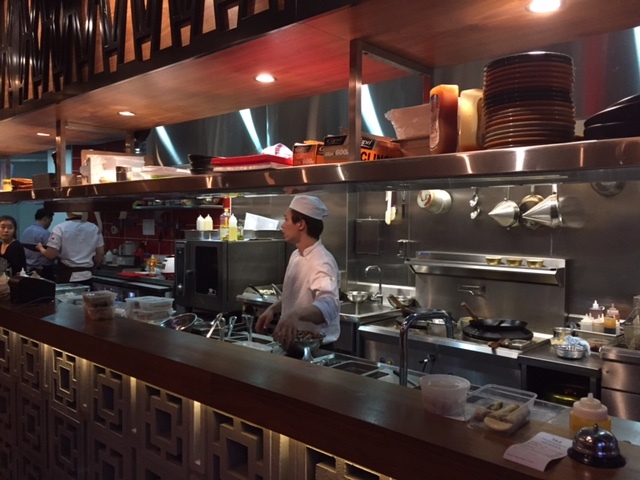 But after my dinner I’d call it more elegantly Asian – with hanging bird-cages, top wine glasses and an open kitchen that showcases the talented chefs at work. Dumplings are a Chinese treasure – even as a dumpling beginner I know that they’re based around traditional formulas that should not be messed with lightly. I guess you could say dumplings are to the Chinese what pizza is to the Italians, being. So, when deciding to step out of my Italian/Indian comfort zone for one night I thought to myself ‘by boasting the word ‘’Dumpling’’ in the restaurant’s name, and having an artisan dumpling maker called “Gong” in the team then the dumplings must be good’. I was right – they are. 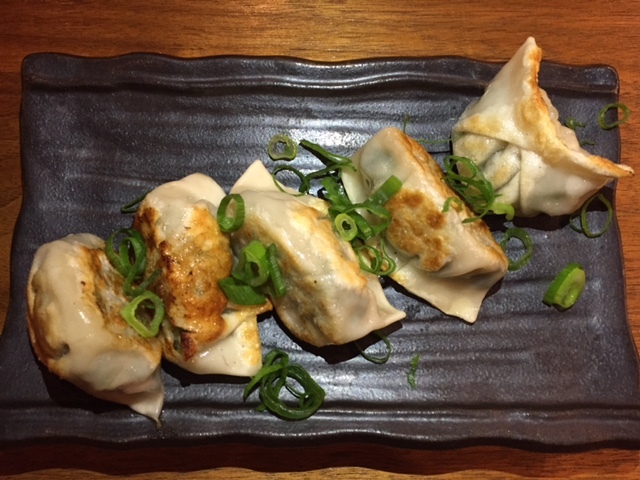 The dumpling menu is worthy of more than a little deliberation – dumplings come steamed, pan-fried and boiled. Don’t stop at one choice – try a couple of different options (prices start at a mere $7) and build the rest of your meal around them. Of the dumplings I tried my hot pick would be the pan-fried pork and chive. 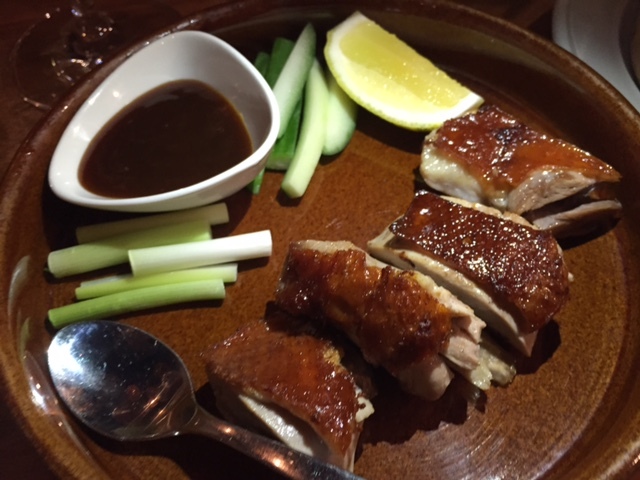 Moving on from dumplings it’s hard to go wrong with the duck pancakes – juicy chunks of duck meat (with crispy skin) are served with cucumber, shallot and hoisin plum sauce. You can choose from two serving sizes (4 pieces for $16 and 8 pieces for $30) depending on how many of you are sharing. Another dish not to be missed dish is the pork belly ($23). It could compete with the best that you could seek out in Chatswood and Haymarket, Sydney’s Chinese hubs. 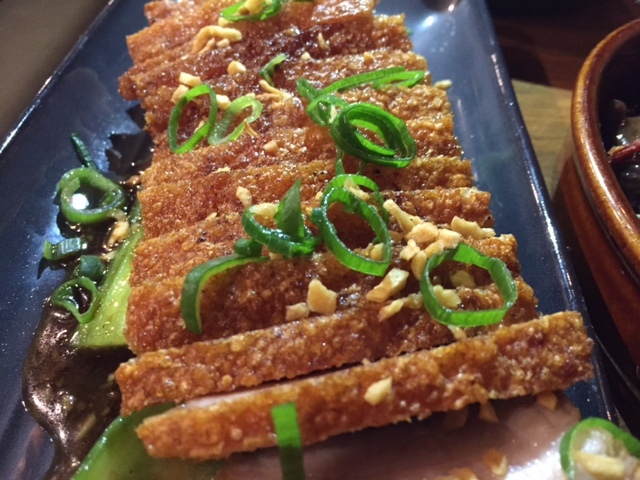 The pork is cooked to be tender, has a crunchy skin and is sliced in a way that makes it easy to share. Vegetarian? 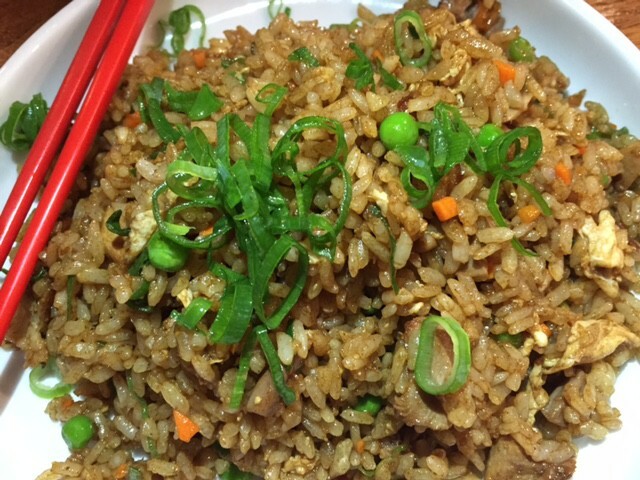 Good news – non-meat eaters can feast well at Chinaman with plenty of seafood and vegetarian options, like salt and pepper prawns, vegetable fried rice and noodles, and of course spring rolls. Squeeze in dessert and it’s pretty much guaranteed that you’ll be walking out with a doggy bag. That’s not a bad thing – these are the kind of leftovers that you’ll want to come back to. Overall I’d say that Chinaman is a welcome addition to an area that seems to be dominated by Japanese and Thai restaurants. The atmosphere and food are spot on, and the prices are very fair. What about the service? Based on my dinner (note it was a busy Saturday night) I’d say that it’s a little hit and miss. At times I struggled to catch the attention of the wait staff. 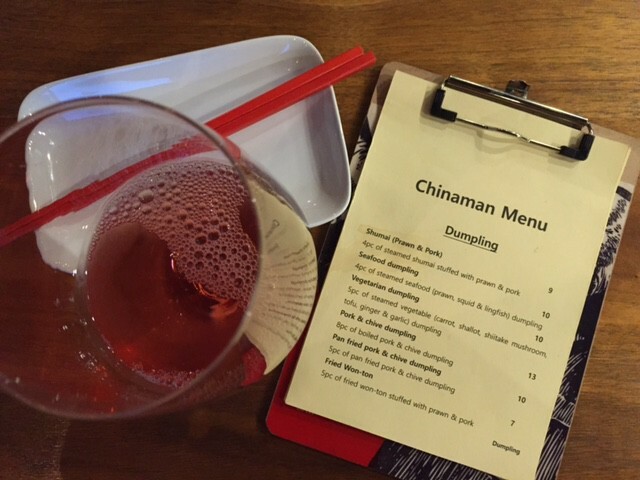 Overall though it didn’t spoil the experience – it’s still early days for Chinaman (they only in December 2014) and working on the service should help them quickly build a good base of regular customers. 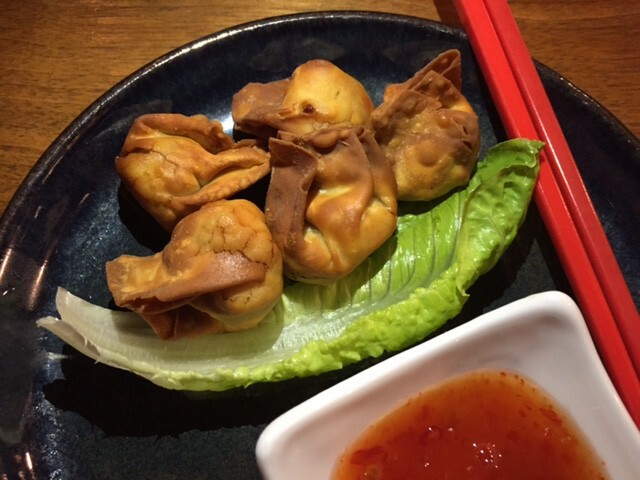 Tags: Chinaman Dumpling, Chinese, Cremorne, menu, restaurant, review. Bookmark the permalink.